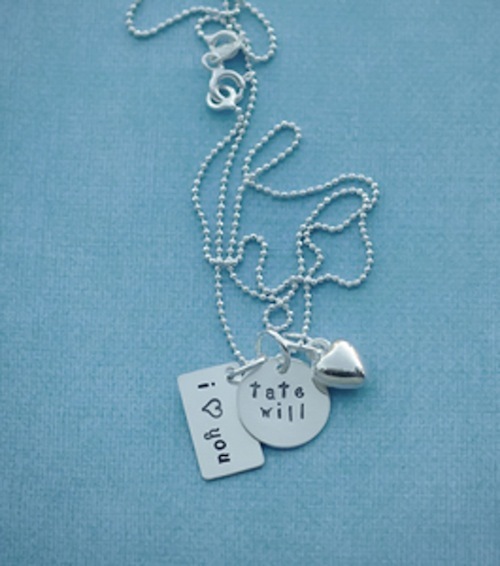 This necklace comes with 1- Sterling silver 1/2″ x 3/8″ rectangle and 1- Sterling silver 1/2″ circle charm. 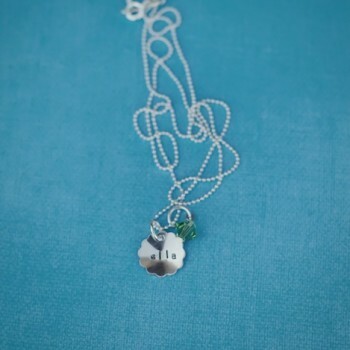 The rectangle says “i (heart) you” and the circle charm can hold up to 10 letters/numbers of your choice. 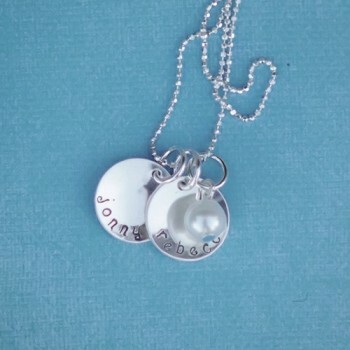 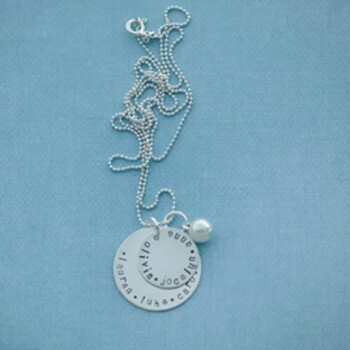 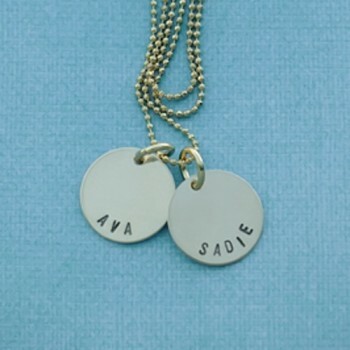 It is hung from a sterling silver ball chain and comes with your choice or birthstone/pearl/heart.